Founded in 1994, Opera Santa Barbara contributes to the cultural enrichment of our community by celebrating and championing the breadth and beauty of opera by presenting exciting, high-quality opera productions and community programs to audiences throughout California’s Central Coast. 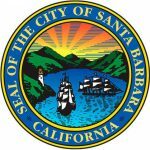 Opera Santa Barbara was founded by Marilyn Gilbert and Nathan Rundlett with the goal of bringing the highest caliber of opera to Santa Barbara. Opera Santa Barbara’s Studio Artist Program provides high-level performance opportunities and valuable training to some of the country’s most talented up-and-coming opera singers. During the past 19 years the organization has presented 48 operas and has provided thousands of hours of educational programs to the community. Santa Barbara has so many things to see and do (…and eat) that planning your trip can be a challenge! Let us help you craft the perfect visit. Here’s our list of top picks! Audition for Opera Santa Barbara. Learn about future audition opportunities.